Nyeste tilføjelse til freebies afdelingen! Januar fe malebogssiden blev resultatet, efter jeg valgte “fairies” som emne ud af de forslag der kom ind på Facebook. Klik på billedet for at gå til freebiessiden, hvor du kan downloade både denne og de tidligere malebogssider, helt gratis naturligvis. Klik her for at hente denne side. New addition to the freebies department! 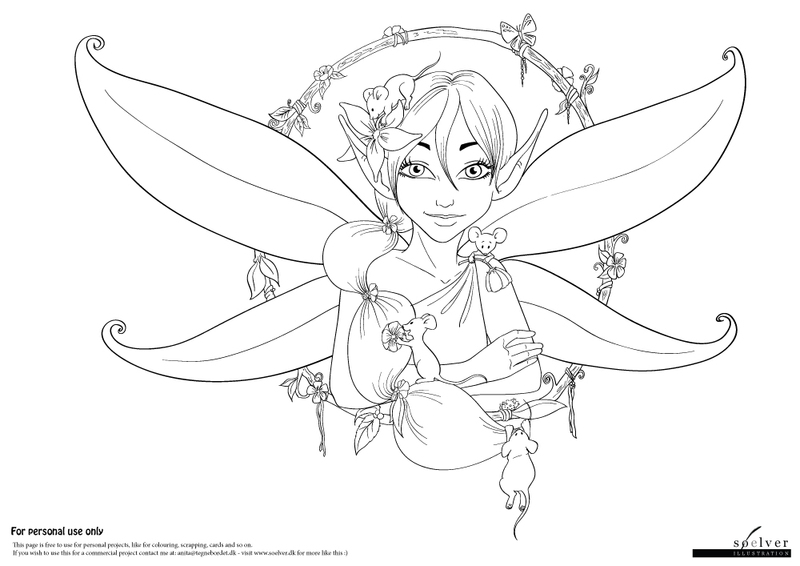 January fairy coloring book page was the illustration, that was the result of the suggestion post I had on Facebook. Click on the image below, to go to the freebies page. Click here to download this image as a pdf right away!